Flying cars don’t appear to be in the cards anytime soon but according to Google co-founder Sergey Brin, we’ll have one less responsibility while behind the wheel in the near future. During the signing of a favorable bill pertaining to autonomous vehicles, he predicted everyone will have access to self driving automobiles that will take us to and from wherever we need to go within five years. Google is one of the leading companies behind the push for self-driving cars as they have logged over 300,000 miles in testing. Brin poined out that their current fleet of driverless cars has already driven 50,000 miles without any human interaction. The search giant is planning to provide cars for select staff members in the near future. 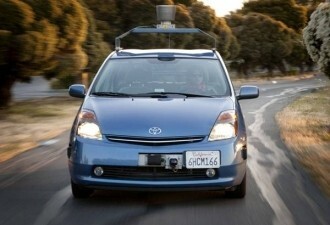 Autonomous cars of the future are said to be safer and more economical than current automobiles. The co-founder pointed out that more than 40,000 people are killed in vehicle accidents each year – a figure that is expected to drop drastically once computers take the wheel. Furthermore, these robotic rides will provide independent transportation to individuals that are currently unable to drive. Driverless cars could virtually eliminate drunk driving and provide independence for people with disabilities that otherwise would have to rely on family, friends or public transit to get from point A to point B. The bill, SB-1298 Vehicles: autonomous vehicles: safety and performance requirements, will allow driverless cars to operate on California roads by 2015 pending certifications that say they are safe for use.